Our cities dismiss the rural, but now a farmer is premier. Ed Stelmach and Alberta's oldest conflict. Rural versus urban in Alberta is not a new story. Until recently, many Albertans would have said it was an old story, and perhaps a dead story. Rural Alberta used to be important and used to control the province’s politics. But then, in the second half of the 20th century, the oil economy boomed and the cities grew so large that they dominated Alberta. The rural became lank and weak. The end. But a funny thing about this oblivion narrative: it’s not true. On December 3, 2006, a farmer defied all the trends of demography, economy and history to win the Alberta Progressive Conservative leadership. When Ed Stelmach became the 13th premier of the Province of Alberta, he still had a herd of black Angus cattle. By a long-standing tradition, rural Alberta has more seats in the legislature than its population warrants. When Albertans went to the polls in 2008, the 34 per cent of voters living outside Calgary and Edmonton elected 51 per cent of the province’s MLAs. Ed Stelmach now controls 72 of 83 seats. The power centre of Alberta is indisputably rural. Some people believe in a past where rural and urban Alberta were linked and fond of one another. I have never been convinced of this. In the open-range era, legendary Black cowboy John Ware hated trailing cattle to the burgeoning rail town of Calgary. People may find it hard to believe that rural Alberta was ever relatively racially tolerant, but Ware, who might have known, thought so. Whatever happened to him out in the country, his treatment in Calgary was worse. A story told by Grant MacEwan in his biography of Ware describes the cowboy’s arrest in Calgary on a charge of drunk and disorderly. As Ware did not drink, he was unwilling to accept the finding. He dragged the two constables across downtown to where his boss was taking evening refreshments. With a constable’s head squeezed under each arm, Ware asked for advice. The rancher, the cowboy and the constables went to the police station to sort things out. But also true of Alberta was that its electoral power resided overwhelmingly in the country. After the provincial Liberals ran out of gas in 1921, the United Farmers of Alberta took over. In 1934, another rural-based party, Social Credit, took the reins—and held them for 36 years. All three Social Credit premiers, William Aberhart, Ernest Manning and Harry Strom, came from farm backgrounds. The year 1971 was a watershed in Alberta’s history. Calgarian Peter Lougheed swept into power at the head of a new-look, much more urban Progressive Conservative party. An overlooked fact is that Lougheed’s Tories could not have defeated Social Credit on the strength of the cities alone. Though rural Alberta had dropped to 43 per cent of the population, gerrymandering gave the rural 46 of 75 legislative seats. After their near sweep of the cities, the Tories still needed 13 seats for a majority. In fact, 24 of their 49 seats came from rural Alberta. Watching Socred leader Harry Strom surrender to Peter Lougheed in 1971, many thought they were seeing the departure of Alberta’s last farmer-premier. History would prove them wrong. People may find it hard to believe that rural Alberta was ever radically tolerant, but John Ware thought so. So how did Ed Stelmach become Premier? The answer is found in the system the Conservatives used to elect a leader after Ralph Klein’s retirement. It resembled a provincial election—with two trips to the polls. Unless one of the eight candidates polled 51 per cent in the first ballot, the top three would go to a run-off vote a week later. The first results were: Jim Dinning 30.2 per cent; Ted Morton 26.2 per cent; Ed Stelmach 15.3 per cent. The numbers were considered shocking. Dinning, a Calgary candidate, had been all but awarded the leadership by the press and his supporters. But here was Morton, an ex-university professor with Reform and Stephen Harper connections, nipping at his heels. Morton was disliked by many Albertans. In particular, his private member’s bill to remove homosexuality from school curricula had drawn small-l liberal ire. Because there was no rule against it, some people spent $5 to become temporary Conservatives in order to vote against Morton. In the week between ballots, 1,000 new memberships were sold. Also during that week, three defeated candidates declared for Ed Stelmach. Anybody-but-Dinning, Anybody-but-Morton, and Anywhere-but-Calgary waves were building. On the second ballot, voters were asked to choose two names: first choice and second. If the ballot did not produce a majority winner, the third place candidate would drop off and the second-place votes on the third-place candidate’s ballots would be divvied up between the remaining two. Because Morton and Dinning were polarized, it made sense that Dinning supporters were unlikely to choose Morton as their second choice. Nor would Morton supporters choose Dinning. This would be crucial to the final outcome. On the second ballot, not only did Ed Stelmach vault past Morton into the top two, he also squeaked past Dinning into first place. With Morton in third, it was the second choices on Morton’s ballots that would determine the winner. The outcome was obvious. If Morton supporters were unlikely to choose Dinning second, Stelmach must win. Indeed, it was so. Stelmach had 25,813 second-place choices on Morton’s ballots to Dinning’s 4,227. Ed Stelmach was the new Conservative leader and, automatically, Alberta’s premier. For a great many Albertans, the morning-after question was “Who?” Though Stelmach had been in the legislature 13 years and had held four cabinet portfolios, he had managed a quiet political career under the flourishing and expansive Superman cape of Ralph Klein. Ed Stelmach was born in 1951 into a farming family. The farm, northeast of Edmonton, was where his Ukrainian grandparents had homesteaded in 1898. In 1973, Stelmach was studying at the University of Alberta when an older brother was killed. He returned to the family farm. While farming, he entered civic politics and was reeve of the county of Lamont for seven years. In 1993, he entered provincial politics and won Vegreville-Viking for the Conservatives. A key to Stelmach’s career was that he entered the legislature soon after Ralph Klein became Conservative leader. In his first year as a Tory backbencher, Stelmach joined five other rookie MLAs in something called the Deep Six. They sat in the right-hand corner of the backbenches and fought the opposition—and sometimes their own party—under the banner of fiscal conservatism. Ken Kowalski was Klein’s minister of economic development and tourism (EDT), and was teased by the Deep Six for taking too many trips. They called his department Eating, Drinking and Travel. Rod Love, Klein’s handler through this era, has written that Klein wanted to know two things every morning: what were the Liberals up to, and what were the Deep Six up to? Stelmach climbed quickly. In 1997, he entered cabinet as Agriculture, Food & Rural Development minister. In 1999, he was switched to Infrastructure, then to Transportation and finally to International & Intergovernmental Affairs. For most of his career, Stelmach’s political work had a rural theme, and there is evidence that his interests seldom strayed from that focus. 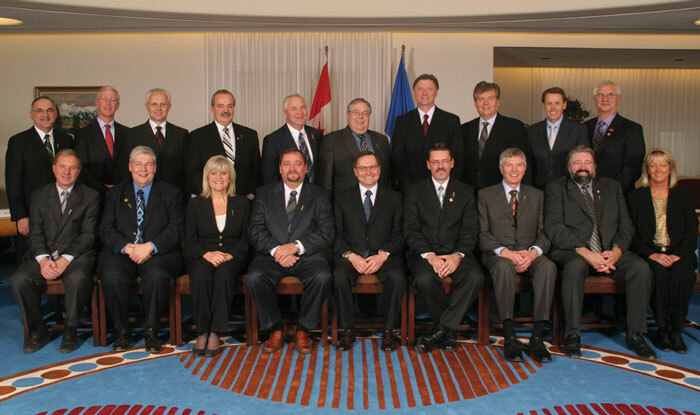 In 2007, premier Stelmach went to the fall meeting of the Association of Municipal Districts & Counties. It was his 21st straight year of attendance. 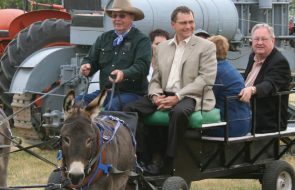 In politics, Ed Stelmach has had a privileged position for observing rural Alberta. Not a pretty picture, for the most part. Prices for grains and domestic livestock were erratic, while input costs (machinery, fertilizer, fuel etc.) steadily rose. The family farm was under constant threat. 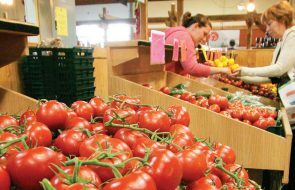 In 1998, when Stelmach held Alberta’s Agriculture portfolio, 12,000 Canadian farmers were in financial trouble. 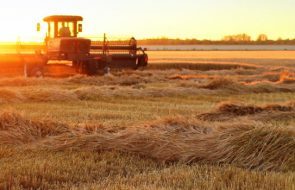 Alberta trailed only Saskatchewan in farm bankruptcies. Since 1995, our agricultural problems have been obscured by the largest and longest of Alberta’s economic booms. After 16 years of delusionally low oil prices, the world woke to the fact that conventional oil was running out. The United States, increasingly dependent on unstable foreign oil supplies, discovered Alberta’s oil sands in a big way. Oil companies flocked to Edmonton and poured cash into the Klein government’s lap. The last good years of Alberta’s conventional oil resource overlapped this oilsands lease rush and produced epic government surpluses. The national perception that Albertans were elbow-deep in cash worsened the problems in rural Alberta, because no one seemed to notice. Farmers were in trouble. Towns dependent on farmers were in trouble. Even towns that had enjoyed the fruits of oil and gas activity were seeing their petroleum pals pull up stakes and move on when the reservoirs declined. The BSE crisis that saw the US border close to Canadian beef was a catastrophe for Canadian ranchers and feedlots. The border had barely reopened when the Canadian dollar’s surge re-killed US demand. To see the effect, look at Alberta’s population statistics. Rural Albertans represented 43 per cent of the Alberta population in 1971 and that number dropped to 21 per cent by 2006. Much of this decline happened while Alberta was setting records for growth. During the post-1995 boom, Alberta has been gripped in a severe worker shortage. Job opportunities and inflated wages have drawn people from all over the world. Besides those who went straight to the oilfields and the oilsands, the vast majority landed in Calgary and Edmonton and their outlying bedroom communities. Stelmach’s hands are not clean. He held key government portfolios during the deficit-cutting period. Once you pass the commuting line and enter what census-writers call areas of moderate and weak metropolitan influence, zero growth is common. Three large rural areas are showing net population decline. Because much of this happened while the Klein government was on its debt-reduction tear, the rural has had to endure spending cuts in health, education and infrastructure when it badly needed government spending to hold its own. Ed Stelmach’s hands are not clean. He held key government portfolios during the deficit-cutting period. One wonders what happened to his ardency for fiscal conservatism as he watched his rural world suffer. It is possible he wanted to spend more in rural Alberta but was overruled. If so, one would expect him to spend handsomely when he became premier—and he did. In 2007, Ed Stelmach’s first year as premier, the shadowy politician was dragged into the limelight. Having become premier two years after an election, he was not obliged to go to the polls for three years. He chose to wait so that Albertans could get to know him and so he could prove his leadership ability. That this would not go smoothly was proven by his first cabinet. It was Premier Stelmach’s chance to heal party divisions, remedy geographical anomalies in his support and prove he was not anti-Calgary—and he blew it. He shrank the cabinet to 18 and gave 12 portfolios to those who had supported him for leader. Long-time cabinet ministers were shunted to the backbenches. The strangest thing Stelmach did was to radically reduce Calgary’s and Edmonton’s cabinet representation. Two-thirds of Alberta’s population had four out of 18 cabinet ministers. Because Edmonton had not voted Tory in 2004, there was an excuse for having one minister from that city. But Calgary had voted Conservative. Reducing its cabinet strength was retribution for supporting Dinning as leader. As Darryl Raymaker, an oilman and long-time Liberal, wrote in his blog, “[Stelmach’s] mistake of decimating urban representation in his government and rubbing salt into the wounds of his political foes … is contrary to every fundamental rule of Politics 101.” Stelmach included only two women and no visible minorities in his cabinet. The only woman with a position of power was Iris Evans of Spruce Grove (Minister of Employment, Immigration & Industry). What Stelmach had done was take a party in power since 1971 and present it to the people of Alberta as a rookie government. Half his cabinet had never had a portfolio. He had certainly cleaned house, but when people called his government “a bunch of rural white guys,” what could he say? This was the new Alberta Government that set out on the seas of 2007. Disasters came thick and fast. by-election. The Energy & Utilities Board hired detectives to spy on landowners during a public hearing. As far as revising the oil and gas royalty structure, I personally don’t think that was a mistake, but many do, and many of those people live in rural Alberta. A final goof at the end of 2007 came when university student Dave Cournoyer bought the Internet domain name www.edstelmach.ca. If you click on this URL, it takes you to the Harry Strom entry in Wikipedia, Strom being the Social Credit premier whose government Peter Lougheed toppled in 1971. In the blogosphere, on Facebook, on YouTube, the reaction against Stelmach was vitriolic, crude and satirical. The young consider the Internet a place of freedom. Tamper with that freedom and you earn their anger in a nanosecond. The quietest story in Ed Stelmach’s first year as premier was his support for rural Alberta. In late November, the Stelmach government released a bundle of rural programs: $60-million for affordable housing; $100-million for the Rural Development Fund; $500-million for rural core infrastructure; $40-million for affordable supportive living; 1,000 apprenticeships and 600 spaces in post-secondary institutions reserved for rural Albertans. Stelmach was putting ointment on rural lesions left from the Klein era. He did it quietly, knowing that to be too helpful to rural Alberta could turn negative politically. The effects of that spending can already be seen. If you put the microscope on rural Alberta, every time you find a growing small town, you will find Alberta Government-funded projects: seniors and recreational complexes, affordable-housing projects, improved healthcare facilities, improved or new schools, highway construction. The more I looked into this story, the more obvious it became that Ed Stelmach had reawakened the slumbering contempt many urban Albertans feel for the rural. The contempt had gone to sleep because of how weak the rural seemed. At one-fifth of the population, the rural was easy to ignore. When I asked young people in Calgary what they thought about rural Albertans, the answer was often that they did not think about them at all. Ed Stelmach’s unexpected vault to power gave this complacency a jab, and what poured forth was nasty. When Stelmach named his cabinet, he made Lloyd Snelgrove of Vermilion president of the Treasury Board. To suggest his unsuitability, blogger Raymaker described Snelgrove as “an ex-turkey farmer.” Ray Danyluk became Minister of Municipal Affairs & Housing and would have the treacherous file of negotiating funding with the big-city mayors. Instead of mentioning that Danyluk had been an MLA for only five years, the modest size of his home town, Elk Point, was touted as a problem. The rhetoric spilled over into central Canada. In a July 2007 Maclean’s article, Nicholas Kohler wrote, “Stelmach was something of an unknown—a riddle wrapped in a hay bale stored deep in a damp barn.” (I kid you not.) Kohler quoted someone from Calgary city hall who said Stelmach lives in a town with a population equivalent to the number of migrants who move to Calgary in a typical three-day stretch. What does this have to do with his ability to lead a government? Sooner or later, Premier Stelmach had to call an election, and it had become obvious that no time was going to be the right time. The oil industry and Albertans—rural and urban—who lost their oilfield jobs after the royalty review were mad at him. Despite some minor tinkering, Edmonton and Calgary were still under-represented in cabinet. Stelmach had enemies in his own camp. The blogosphere was still hostile (farmer jokes abounding). Newspaper cartoonists were depicting him in bib overalls and gumboots. “Steady Eddie,” once an endearment, was now a slur. Such was the situation when he called the March 3, 2008, election. Going into this election, the big question was whether gerrymandering could save the Tories one more time. Would rural Alberta stick with them if the cities rebelled? The outcome was a surprise to almost everyone. The cities went with Stelmach, not necessarily as an endorsement of the farmer from Andrew but in protest of a “lack” of options. Few even in his own party expected “Steady” Eddie to achieve a landslide reminiscent of the Klein era. Stelmach now has a mandate. But the 2008 election may be the last time rural Alberta will have enough power to elect the government. Even the slightest vote redistribution or splitting of swollen urban constituencies, and the Rubicon will be crossed. Next election, urban Alberta should have a clear majority of seats, and Alberta’s era of rural kingmaking will be over. Despite his many mistakes, I respect Ed Stelmach for recognizing the crazy economic disparity between urban and rural in this province, and doing something about it. As for the urban’s comic hostility toward the rural, I hope urbanites will one day realize they are maligning what they do not know; that their cartoon images of rural hicks have entered their minds from low and unreliable sources. Fred Stenson is an Alberta novelist. He grew up on a farm in southern Alberta, lived in Calgary for three decades, and now lives in Cochrane. His latest novel, The Great Karoo, was published in fall of 2008.